Don Coscarelli, director of "Phantasm," "Beastmaster," "John Dies at the End" and more, has been creating classic cult films for more than 40 years. He talked with WTOP about his new memoir, decades in the moviemaking trenches, how Hollywood is poisoned and staying independent. WASHINGTON — The landscape of horror is always in flux because horror, more than any other genre, is the lens through which humanity is inspected. But death, fear of the unknown and cosmic terror are always prevalent — albeit in varying quantities. It isn’t hard to find examples that bear this idea out: George Romero‘s 1968 classic “Night of the Living Dead,” which created the modern zombie. Tobe Hooper‘s 1974 masterpiece “The Texas Chain Saw Massacre.” John Carpenter’s Halloween (1978) and, perhaps more so, “The Thing” (1983). Don Coscarelli’s terror-fuel “Phantasm” (1979). Sam Raimi’s “The Evil Dead” (1981). Stuart Gordon’s “Re-Animator” (1985). Dan O’Bannon’s “The Return of the Living Dead” (also 1985) is where that whole “zombies eat brains” thing came from. Readers should note that all of those flicks were made independently, by way of private financing. The exception on that list is “The Thing,” though it could be argued that the film at least has the independent spirit, despite studio backing, given how utterly insane it is (WARNING: Graphic and contains spoilers), and how little Universal seemed to understand the property. Independents have always been, and will always be, at the bleeding edge of creativity because there are no restraints. There is nobody telling them what they can and cannot do. Granted, this doesn’t always bear the best results. But when it works, it really works. And it changes things forever. No independent filmmaker stands taller than horror movie maestro Don Coscarelli (that’s figuratively and literally — the guy is 6-foot-4), who has been creating cult flick phenomena for more than 40 years. Now, with the release of his new memoir “True Indie” from St. Martin’s Press and a screening of the restored “Phantasm” at AFI Silver Spring, Coscarelli talked with WTOP about his book, decades in the moviemaking trenches, the “Phantasm” series, how Hollywood is poisoned and staying independent. But there were other considerations as well, like the recent deaths of horror icons George Romero, Tobe Hooper and Angus Scrimm — with whom Coscarelli worked extensively. “I wish I could read their memoirs, truthfully,” Coscarelli told WTOP. He was further encouraged by an editor at St. Martin’s Press. 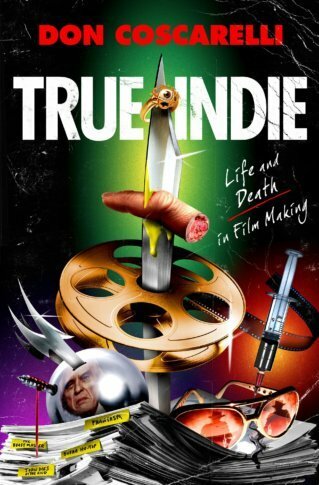 Indie films are where ideas are born; Hollywood is where ideas go to die. In Hollywood, not only will you get stabbed in the back, you’ll get stabbed in the face too. “That’s true!” Coscarelli said with a laugh. So what has poisoned Hollywood’s well? “They find something interesting, original and genuine, and it does well, and then … how do they make another one of those. What they do is they go and they try to imitate. They try to make another and a sequel and what have you,” Coscarelli said. Remember when Japanese horror was all the rage? “Those early films were terrific,” Coscarelli said, but then they started pumping them out too fast, and every villain was a pale woman with hair hanging in her face. That doesn’t mean the studios are incapable of making great horror films. Coscarelli pointed out that one of the all-time best is still Steven Spielberg’s “Jaws” (1975). “That pushed all the right buttons,” he told WTOP. And he noted that there are plenty of independent filmmakers rising to prominence and producing great work all the time. Would an independent juggernaut like Coscarelli ever consider working within the studio system for a future project? “One of the challenges I’ve always had in working with producers and studios is that I get a vision for what I want to see, what I want to make — it might just be an idea or imagery or whatever — but I just can’t … if somebody dictates to me what it’s supposed to be, and I don’t understand what it is … I just can’t do that,” Coscarelli told WTOP. Instead, he’s usually working to develop his own projects, scripts and screenplays, then finding funding for them. Never was that more literally evident than the “Phantasm” films, where hero Reggie Bannister would regularly break out an acoustic guitar and play some tunes before and after battle with the forces of evil. While Coscarelli is hopeful on progress and has several cinematic adventures in negotiation, he couldn’t tell WTOP what they were. “You’re welcome to ask but I’m not at liberty to discuss,” Coscarelli said with a laugh. When asked about his legacy, and what impact he thinks he’s had on film and horror, Coscarelli demurred. “I don’t know if it’s my place to analyze myself. … I’ve just been moving from one steppingstone to another through my life,” he said. It’s impossible to discuss Coscarelli’s body of work without addressing Angus Scrimm, born Lawrence Rory Guy, who died Jan. 9, 2016 at age 89. Scrimm is best known as The Tall Man in the “Phantasm” films. And like Reggie Bannister, he was a regular teammate of Coscarelli’s. “Angus had a huge impact on me,” Coscarelli said. Scrimm was about 40 at the time. But it was Scrimm’s turn as The Tall Man in the “Phantasm” series that terrified audiences as well as endeared him to them. Scrimm was feared and loved. “The thing that I found most fascinating was … I would go to these horror conventions with Angus, and he would be swarmed by fans, and all they wanted to do was hug him and pinch him and kiss him,” Coscarelli said. Scrimm was a genuinely sweet man with a big heart. “He really cared about the fans,” Coscarelli said. There’s more (so much more) that we didn’t get the chance to write about here. Listen below to the full interviews with Don Coscarelli and Reggie Bannister. Will Vitka's Don Coscarelli interview. Will Vitka's Reggie Bannister interview. You can also check out Bannister’s band on Facebook.